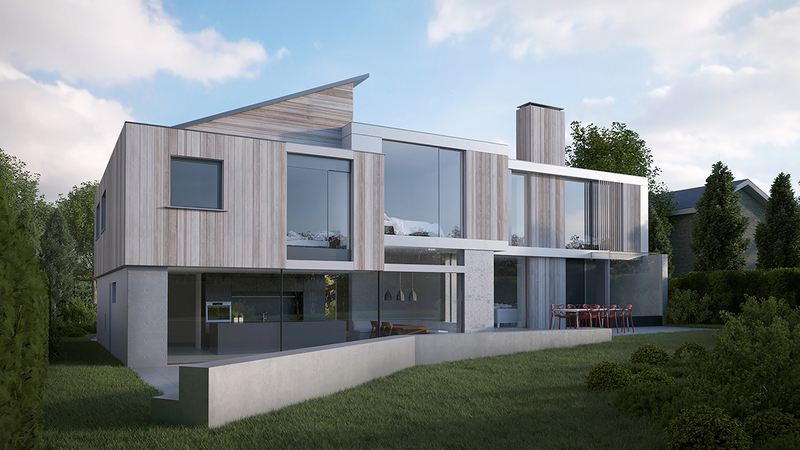 Planning permission has been granted for the extension and remodelling of this interesting 1960s modernist house, adopting a complimentary style and responding to the surroundings. 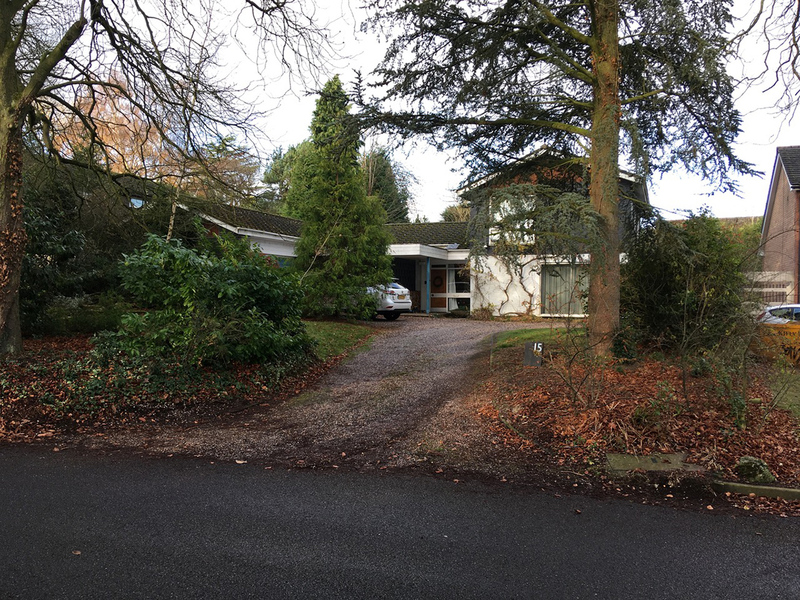 Located on a private road in Sutton Coldfield, this house will be extended and brought up to date whilst respecting the original design. 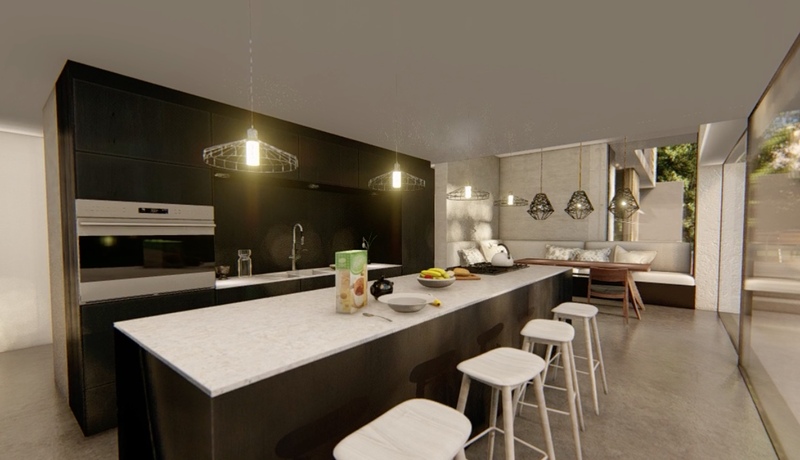 On the ground floor, the existing kitchen and two small reception rooms will be combined to create a large kitchen diner with separate utility room. Large sliding doors will improve the relationship with the garden. The porch and entrance hallway will be remodelled, creating a new route through to an existing ground floor bedroom, which will be converted into an office with a gymnasium area. The existing living room will be widened and a new glass box will house a window seat with views of the existing mature garden. 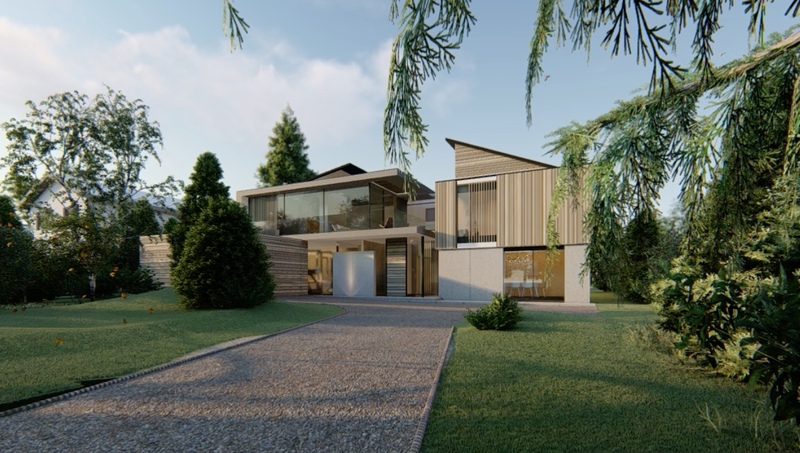 The second floor will be extended over the existing single storey section to create a 3 new ensuite bedrooms including a large master suite with balcony. Two existing bedrooms will be knocked through to create a large double ensuite room with dressing area. 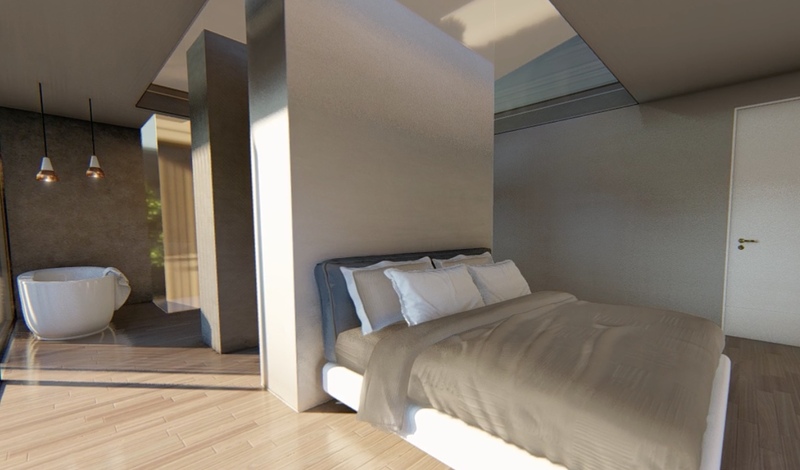 A glass walkway between the bedrooms will bring natural light into the centre of the house. 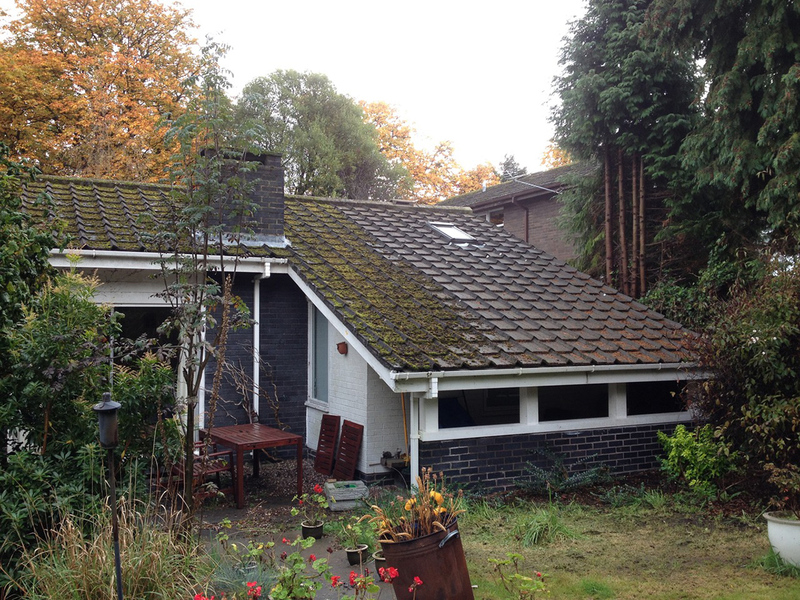 The existing garage, which is overlooked by the master suite, will be updated with a new sedum roof, insulation and new cladding and doors. 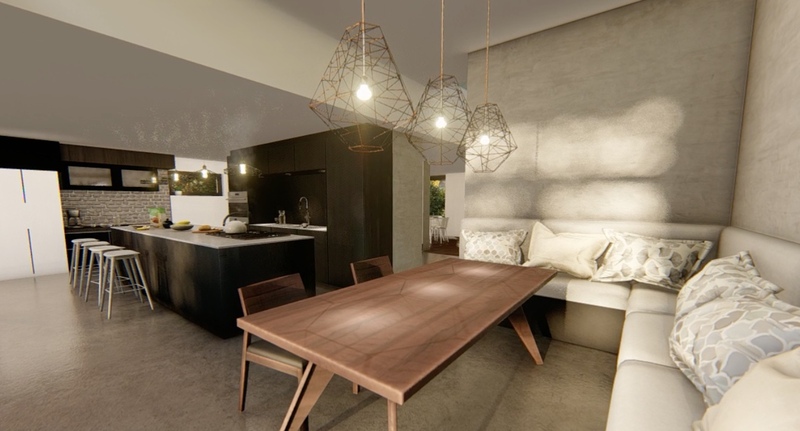 Construction work will take place whilst the occupants remain in the house so the project has been carefully phased to keep disruption to a minimum. 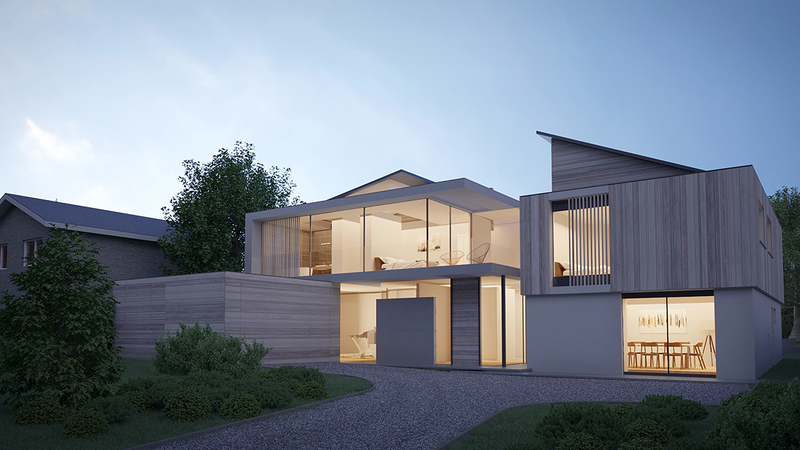 Phase 1 will see a steel frame for the new rooms constructed over the existing single storey section of the house.